This entry was posted on Wednesday, March 25th, 2009 at 12:41 pm	and is filed under books, business, irishblogs. You can follow any responses to this entry through the RSS 2.0 feed. Both comments and pings are currently closed. Sounds like it was great fun, and really useful. Im determined to be better at public speaking – starting with best man speech at the end of next month. Have you got a closing date for this cos I’m pretty busy for the next week or so but may give it a go. I know what you mean about seeing all the famous names in Silicon Valley being so inspirational. I remember driving through Silicon Valley on the way to Great America and just seeing all the names of companies that I would have given my right arm to work for, well maybe not that extreme, but you know what I mean. 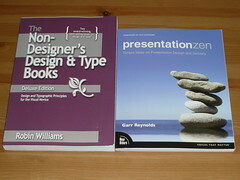 I’m a big fan of Presentation Zen, recommend it to everyone who will listen. Very jealous of you heading to that. Finally I got a really nice or we can say useful post. Thanks for sharing a lovely post.